For the retaliatory tariffs most updated information (updated 02/01/2019) click the link: https://www.trade.gov/mas/ian/tradedisputesenforcement/retaliations/tg_ian_002094.asp. The Section 232 and Section 301 tariffs don’t have to be daunting. Let our team of attorneys and trade advisors help you navigate the intricacies of these tariffs and help find you viable solutions via mitigation strategies and possible exclusion requests. * To date, Braumiller Law Group has been successful on many exclusion requests from List 1. ** We are excited to inform you that there will be a Section 301 – List 3 exclusion process! President Trump’s signing of the mini-Omnibus bill earlier on February 15, 2019, requires that an exclusion process be put in place for List 3 products by March 17, 2019. The USTR will have the next month or so to consult with the appropriate committees to determine the scope of the process. Please contact us if you would like one of our attorneys to work with you on the List 3 exclusion process! President Donald Trump announced on Twitter that he would be postponing an increase in tariffs against China, and that he plans to meet with Chinese President Xi Jinping to reach a conclusion on a final trade agreement. The President said that trade negotiations with China have been “very productive,” and subsequently, he would delay the tariffs, which were set to go into effect on March 1st, ahead of a meeting with President Xi at his Mar-A-Lago resort in Florida. To assist U.S. companies in identifying those exports impacted by retaliatory tariffs, the Department of Commerce’s Industry & Analysis unit has compiled a Retaliation Product Coverage Matrix and retaliation information. 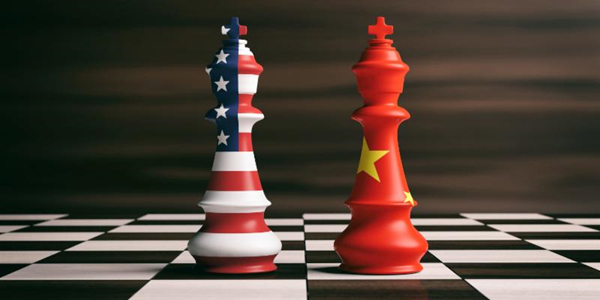 This matrix lists the U.S. goods subject to announced foreign retaliatory measures and includes direct links for U.S. businesses to find additional detail regarding the scope of the foreign measures. On July 1, 2018, Canada began imposing additional tariffs of 10 or 25 percentage points on selected U.S. products. The United States believes that Canada’s retaliatory tariffs are inconsistent with World Trade Organization (WTO) rules and has opposed them at the WTO. On April 2, 2018, China began imposing additional tariffs of 15 or 25 percentage points on selected U.S. products. The United States believes that China’s retaliatory tariffs are inconsistent with WTO rules and has opposed them at the WTO. China’s notification to the WTO, which includes a list of tariff codes covered by its retaliatory measures in English, is available here. On June 22, 2018, the European Union (EU) began imposing additional tariffs of 25 percentage points on selected U.S. products. The EU has also announced that it reserves the right to impose additional retaliatory tariffs in three years, beginning in 2021, or earlier if the EU receives a favorable ruling by the WTO Dispute Settlement Body on their claim that the U.S. tariffs constitute a violation of WTO rules. The United States believes the EU tariffs are inconsistent with WTO rules and has opposed them at the WTO. EU’s notification to the WTO, which includes a list of tariff codes covered by its retaliatory measures, is available here. India has announced that, effective August 4, 2018, it will impose retaliatory tariffs of an additional 10, 15, 20, 25, or 50 percentage points on selected U.S. products. India’s notification to the WTO, which includes a list of tariff codes to be covered by its retaliatory measures, is available here. Japan has notified the WTO of its intent to impose retaliatory tariffs on U.S. products. To date, however, it has not provided specific information regarding the scope or timing of its retaliatory measures. Japan’s notifications to the WTO are available here and here. On June 5, 2018, Mexico began imposing additional tariffs ranging from 7 to 25 percentage points on selected U.S. products. The United States believes that Mexico’s retaliatory tariffs are inconsistent with WTO rules and has opposed them at the WTO. On July 6, 2018, Russia announced that they will impose additional tariffs of additional 25, 30, 35, or 40 percentage points on selected U.S. products. The additional tariffs are scheduled to take effect 30 days from the July 6th announcement. Russia’s notification to the WTO is available here. On June 21, 2018, Turkey began imposing additional tariffs on selected U.S. products. On August 15, 2018, Turkey announced an increase in the additional tariff rates, ranging from 4 to 140 percent. The United States believes that Turkey’s retaliatory tariffs are inconsistent with WTO rules and has opposed them at the WTO. Turkey’s notification to the WTO, which includes a list of tariff codes covered by its retaliatory measures in English, is available here. To the extent retaliatory measures impact agriculture exports, please consult the U.S. Department of Agriculture’s Global Agriculture Information Network (GAIN) reports at https://gain.fas.usda.gov/Lists/Advanced%20Search/AllItems.aspx. Norway and Switzerland have also requested consultations with the United States, as part of WTO dispute settlement proceedings, on the U.S. Section 232 tariffs on imports of steel and aluminum into the United States. To date, these countries have not announced their intent to impose retaliatory tariffs. The information set forth above regarding foreign retaliatory measures, including the Retaliation Product Coverage Matrix, has been provided as a public service for general reference. Every effort has been made to ensure that the information presented is complete and accurate as of September 18, 2018. The information will be updated as new developments occur. The actual tariff classification and assessment of duties is determined by customs authorities in the relevant foreign country. Moreover, countries may elect to increase tariffs or otherwise amend tariff treatment at any time. For definitive guidance, parties should contact the government customs agency in the appropriate foreign country.